The Kirwan Institute began publishing its annual State of the Science: Implicit Bias Review in early 2013. 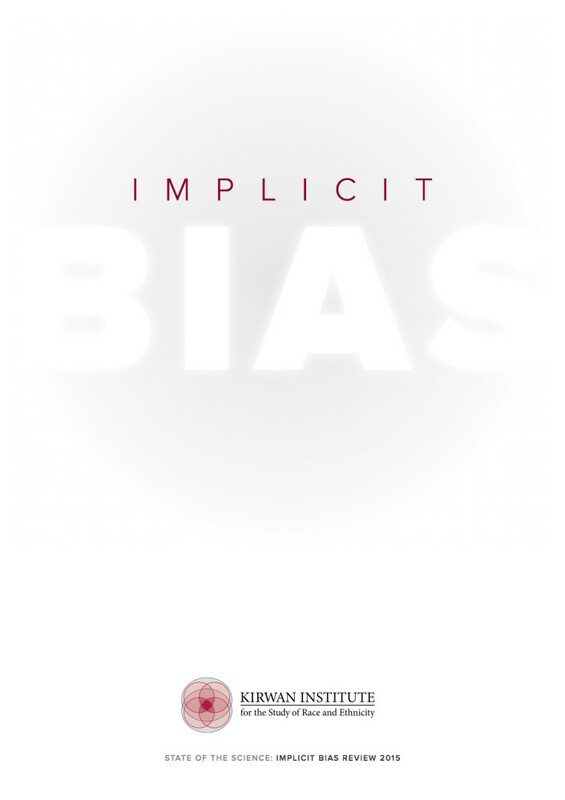 We are very excited to release this third issue as a part of our continued commitment to help deepen public awareness of brain science work underway at universities and colleges across the country about hidden biases that can shape our judgments and decision-making without our conscious awareness. The implications of this body of scientific study—both decades old and newly emerging—are enormous. Con-trary to the common belief that the nation’s progress with gender and racial equity has largely confined biases today to a small group of aberrational actors, researchers have shown that implicit biases are widespread and operate largely beneath the radar of human consciousness.